Spray the inside of the Instant Pot® with nonstick cooking spray. Next add the 1/4 cup of water and the chicken breasts inside. Seal the Instant Pot®, select the meat/stew option and set to 20 minutes (until chicken is cooked through and shreds easily). While the chicken is cooking, begin sauce. In a medium-sized bowl, whisk together ponzu, rice vinegar, honey, minced garlic, ginger, and pepper. After all ingredients are mixed, whisk in the corn starch. When the chicken is done, transfer it to a large bowl and shred. Next, add 1/4 cup of water to Instant Pot® and set it to the Sauté setting. Then pour in the sauce and cook until it begins to thicken and boil. 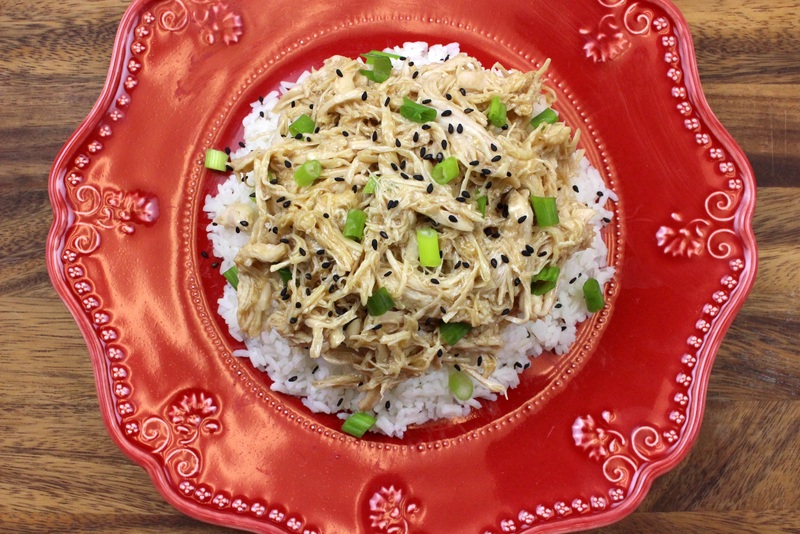 Then, turn off the Instant Pot® and place the shredded chicken inside to coat with sauce. Serve over rice and garnish with green onions and sesame seeds, enjoy!